| How Long Do Colored Contacts Last? 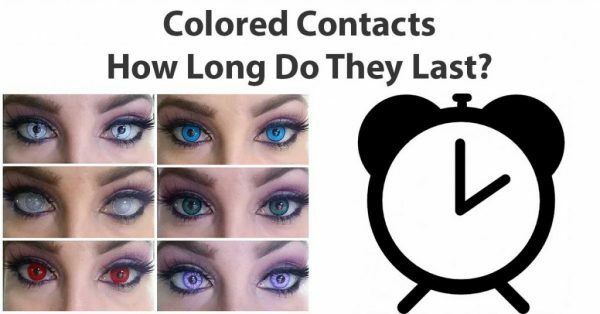 How Long Do Colored Contacts Last? 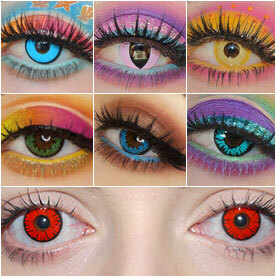 Colored Contact Lenses can last anywhere from 1 Day to 1 Year after you break the seal. But it depends on the specific brand/lenses you’re using! Some last longer than others. You’ll need to refer to the packaging your contact lenses came in to understand exactly when your colored contacts will expire. Unfortunately there isn’t a solid answer someone can give you. If you lost the packaging and don’t know the expire date, try contacting the company you bought them for to look up your purchase, they may be able to tell you exactly what you bought and exactly when they expire. Always consult an eye care professional before wearing colored contacts! How long do they last unopened? If you don’t break the seal on your contact lenses they can last for several years if stored in a cool place and remain in the solution they came in. But once you open them, let the count down begin. You also need to keep in mind if your contacts are opened towards the end of their unopened shelf-life, their expire date (opened) may be less. That means if they last 3 years (unopened) and 1 year (opened) and you don’t open them for 2 1/2 years, theoretically they now will only last 6 months (opened) You’ll always need to check with your optician or with the brand you chose to be certain. Don’t take any risks, always consult an eye care professional if you’re unsure. Are Expired Colored Contacts Safe To Wear? No they are not safe. When your contact lenses reach their expiration date, assuming you cared for them properly will eventually come to a point where the lens and solution is no longer sterile, so although its possible you could get away with wearing them, the expire date is set for a reason. Please throw your lenses away as directed, it’s your safety on the line. Where To Get Colored Contacts? Can You See Through White Contacts?